There are so many oils to choose from. So, where do you start when you are ready to begin your oily journey? Just as we have a few go to ingredients when we cook like salt, butter, pepper, spices etc, there are a few essential oils that are very useful on an every day basis. Young Living has very thoughtfully put together a set of 10 + 1 bonus essential oils + more ( Ningxia Red packets, A Diffuser, Small bottles to carry in your bag, Some samples and Educational materials) in what they call a “Premium Starter Kit”. These are my go to oils for most things. I start with these first before looking at other options. Lemon, Peppermint, Lavender, Frankincense, Thieves, Purification, PanAway, StressAway, Digize, R.C. 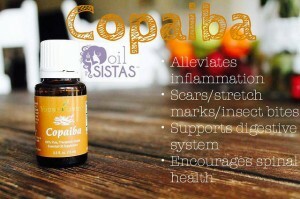 and Copaiba. These oils are versatile and can be used everyday for most of your needs. This a wonderful way to being your journey and learn more about these powerful plant products. This is how I started as well and have never looked back. Lemon is a wonderful support for a healthy immune system. It is uplifting and energizing. It supports the digestive system. It can help with the occasional constipation. Add Lemon to water for a refreshing and energizing feeling. 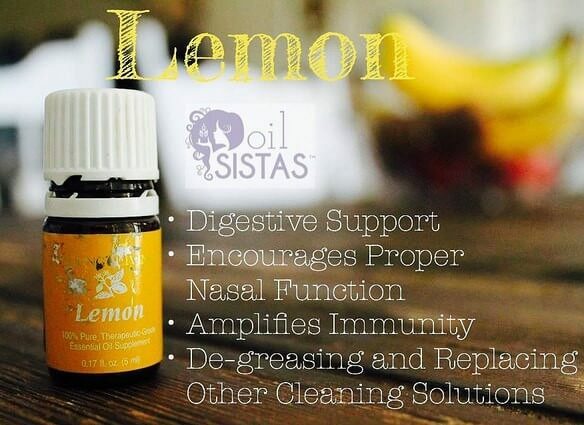 I add Lemon EO every morning to help with cleansing and for better energy through the day. Use it for help with any digestive stuff. I rub a drop of Lemon oil on my son’s vita flex point for stomach to help with digestion or if he has an upset stomach. Add Lemon to you Dishwasher or Washing Machine when running it for a clean feel and great smell. I add Lemon essential oil to my home made dish washing detergent. My utensils come out smelling lovely and clean. Use it to remove any sticky substances like glue or add it to natural house cleaners to help remove stains. Apply it topically (dilute 1 drop of Lemon with 1 drop of carrier oil) on vita flex points (which are points on your foot that correspond to various organs) or on location. 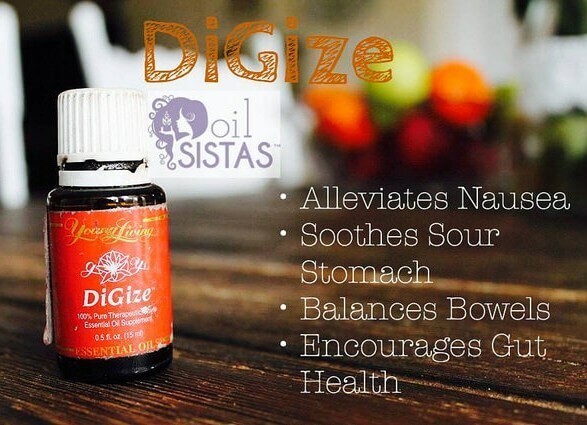 Ingest it directly by adding 2 drops in water or 2 drops in a capsule. 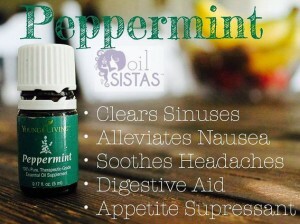 Peppermint can aid and regulate the digestive system. It can help with head aches and also minor aches and pains. It helps to cool the body down. It improves concentration and motivation and better metabolism. 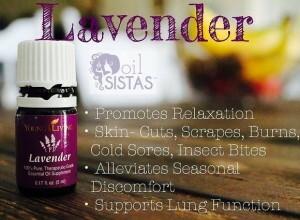 Apply topically for minor aches and pains including headaches. I have applied a couple of drops on my temples when my head hurts and it clears it up well. Diffuse to increase concentration. Often, I diffuse it around the house to motivate me if I need to get things done. It has a clearing effect on the mind. Take a couple of drops in water or in a capsule before a workout to increase metabolism. My husband puts a couple of drops of Peppermint in water before a work out and he feel really good after as it helps the body cool down well. Apply it topically by diluting 1 drop of Peppermint to 2-4 drops of carrier oil. Apply 1-2 drops on the target areas like temples, vita flex points, abdomen. Diffuse to increase clarity and motivation. Ingest 2 drops in water or in a capsule up to 3 times daily. Lavender is one of my absolute favorites. I know I say about every oil, but this one really tops it for me because of it versatile use. Not only can it be used for cuts, scrapes, burns and bruises, but it can be used for insect bites, seasonal discomfort, head aches and minor aches and pains and helping with sleep to name a few. Apply topically for cuts, scrapes, burns and bruises. My husband by mistake washed my son’s hand with hot water, not realizing that the tap was turned to hot. He calmed down immediately when lavender was applied to the spot. It was an endearing moment for me when my engineer, scientifically minded, techie hubby rushed to find Lavender when my son fell down and had a cut on his lips which was bleeding profusely. Diffuse to help with peaceful sleep. Combine a couple of drops with peppermint and lemon for seasonal discomfort. You can also add it to raw local honey. A couple of drops under the tongue or rubbing into the nose with a swab can support healthy lung, sinus and immune system. Apply topically for minor aches and pains. I often combine it with peppermint to apply topically to my temples when my head feels heavy. Apply it topically to the targeted area or vita flex points either neat or diluted. When I use it on babies or children, my default is to dilute any oils. Diffuse or inhale directly for creating a calm and peaceful environment. Take 2 drops in a capsule form either on its own. Frankincense smells AMAZING to me. It has been used for centuries as a healing tool. It can increase spiritual awareness, improve meditation and improves attitude. It is uplifting and can balance and regulate emotions. 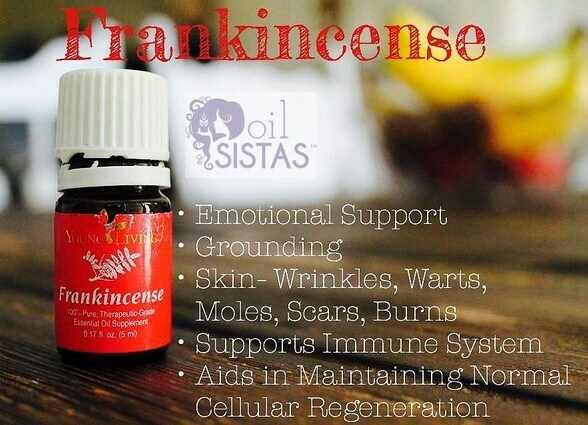 I use Frank, as we affectionately call Frankincense in our house almost all the time. From sickness to muscle relaxant to applying on the skin to work on aging related wear and tear. Take two drops in a capsule in combination with Copaiba and Idaho Balsum Fir for an excellent muscle relaxant. When my son looks like he is not doing that well, I often apply Frankincense to his temples and lymph glands and that usually relaxes everything. Apply topically 2-4 drops on location or vitaflex points. Inhale or diffuse un to 3 hours daily. Take internally in a capsule. It a blend that has amazing potential to boost the immune system. The blend contains Clove, Lemon, Cinnamon Bark, Rosemary and Eucalyptus. We use it everyday, especially in the winter months to keep the immune system up. During the winter months, I apply a couple of drops to the bottom of the feet on my entire family to keep our immune system up. You can do this all year round. At the first sign of any illness going around, add a couple of drops in a capsule (along with Oregano and Frankincense to make it more potent) or directly in warm water with honey and lemon to boost your immune system. 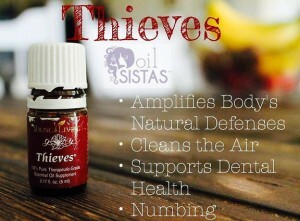 A couple of drops of Thieves in a cup of warm water with honey and lemon can be invigorating. I am not a coffee drinker, but many of my coffee loving friends love adding a couple of drops of Thieves to their morning coffee and seem to LOVE it. This is a blend of Citronella, Melaleuca. A (aka Tea Tree Oil), Lavandin, Lemongrass, Rosemary and Myrtle. It helps with cleansing of the air, just as how the name suggests. Apply on site for bug bites or make a home made insect repellant with Purification. Diffuse to neutralize odors inside the house. Add a couple of drops to a cotton ball and stick the cotton ball on the outside of the ear canal to ease any ear aches. Apply topically to any insect bites, scrapes, cuts to soothe and help with healing. Diffuse up to 3 hours daily. It is blend of Helichrysum, Wintergreen, Clove, Peppermint. 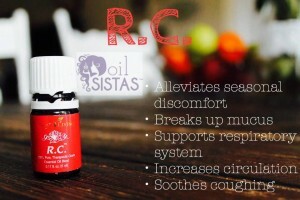 It is a great oil to have in hand to help ease muscle tension and mild aches and pains. It helps support healthy cartilage and joint function. Apply topically to joints and muscles especially after a work out or hike. This is my go to oil if my neck hurts due to muscle tension. My husband sometimes gets lower back pain and will often apply this in combination with peppermint to ease discomfort. Add to an epsom salt bath for relief from aches and pain. I often use PanAway in conjunction with Deep Relief for enhanced effect. I also diffuse Pan Away in my son’s room sometimes when he seems to have growing pains. 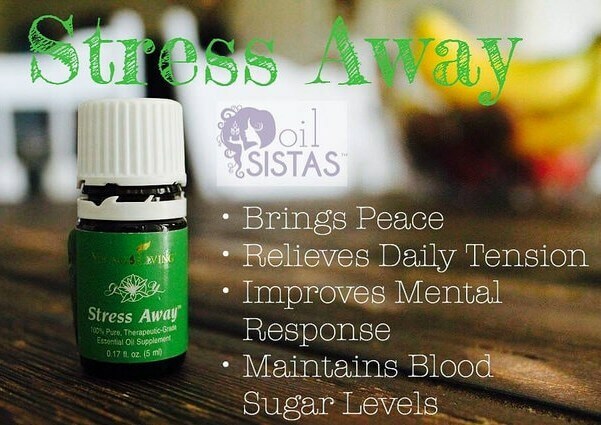 Stress Away is a great oil blend consisting of Copaiba, Lime, Cedarwood, Vanilla, Ocotea, and Lavender. As the name suggests, it can help chase away stress, nervous tension and the occasional blues. It smells really wonderful. I have mine with a roller ball on top, so I often apply it directly to my neck, temples and shoulders to relieve stress or worry. Apply it to the wrists or diffuse to help children calm down. Diffuse at night for a restful sleep. Just smelling it can immediately lower tension and create peace. If I am in a particularly stressful situation, I will add a couple of drops to water and drink it. It restores equilibrium and brings peace. Apply topically on site or to vita flex points. Ingest in a capsule or in water. It is a blend of Tarragon, Ginger, Peppermint, Fennel, Juniper, Lemongrass, Anise and Patchouli. It is a great blend that aids the digestive system and encourages gut health. Use with Essentialzyme to support a wellness regimen. 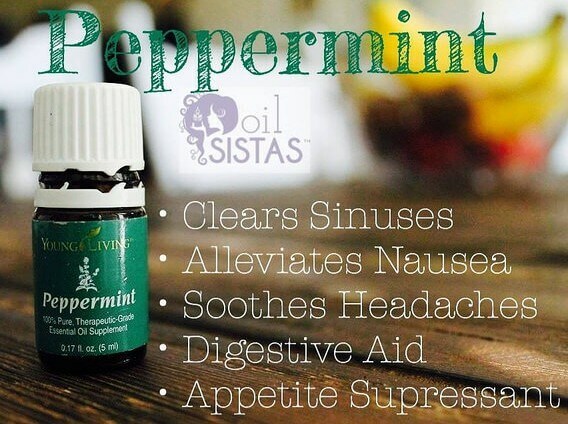 Add a drop to water along with peppermint for a stimulating drink. Diffuse up to 3 hours. It is a powerful oil from South America that has traditionally been seen to support digestive function and aid the body’s natural response to overcome injury or irritation. I have applied it directly to my son’s gum to alleviate inflammation and to relieve teeth and gum discomfort. R.C. is a great smelling blend of Eucalyptus, Spruce, Marjoram, Myrtle, Pine, Lavender, Cypress and Peppermint. It is a great support of the respiratory system and balances circulation. I use it regularly during the winter months as it aids in breaking up mucous. For an uplifting work out, apply it to the chest before your workout session and see how it balances circulation. It is a lovely addition to the bed time routine. Just apply a couple of drops on your feet before bed time. Diffuse for up to 3 hours. Apply topically on the desired area. NingXia Red is a powerful antioxidant drink that has great benefits including boosting energy. And you just need a small amount a day. I will write a more detailed blog on it soon. Home Diffusers have many uses and benefits. It breaks down the micro molecules of the essential oils and disperses them into the air to fill up a room or space. So, in essence, you can get the same benefits when you smell an essential oil as other ways if using it. It also directly affects the limbic brain (where emotions are controlled) and the hypothalamus (the hormone regulator). Purification of the air, also neutralizes odor causing bacteria. Creates a relaxing and peaceful atmosphere. I always diffuse essential oils to help with sleep in both my son’s bedroom and ours. Even animals respond amazingly well to diffused essential oils. Can help to relieve stress and tension. Can inhibit the growth of bacteria and mold spores in the air. The following are called Flex Oils. Since essential oils are derived from plants, we are at the mercy of good crops, mother nature, soil quality, seed quality etc. In an effort to prevent back orders due to a product’s unavailability, YL has a set of oils that will rotate in the event that one or more of the oils are not available. They are the following – Tea Tree, Citrus Fresh, Orange, Lemongrass, and Aroma Ease. It is one of the best defenses against infections including wounds, fungus etc. It is one of my go to for diffusing. Apply neat or diluted to feet and toe nails to keep them clean. For prevention of any hair and scalp related issues, add a few drops to a little bit of shampoo, massage and leave on the scalp for up to 10 minutes. Then rinse it off. 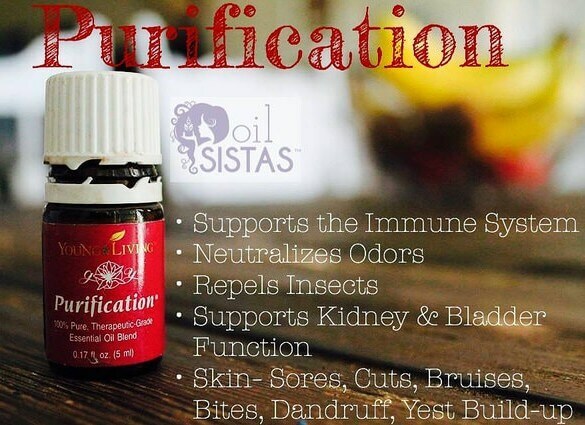 I often diffuse it after and during any kind of sickness going around the house to cleanse the house. I sometimes add this to my coconut oil along with Thieves for Oil pulling in the morning to help maintain good dental hygiene. Apply a couple of drops topically to affected areas to ease discomfort from bumps, scrapes, acne and any skin related issues. Apply topically diluted or neat. It is a powerful, uplifting blend of orange, tangerine, lemon, grapefruit, and spearmint. It is a great immune booster. Add to your water daily to help detox, build immunity and energize your system. My husband uses it every day both in water as well as topically along with Grapefruit to help curb appetite, dissolve fat cells and cellulite. Apply topically to the abdomen or digestive vita flex points for aiding in digestion. Diffuse or smell it to help with cleansing. Diffuse to help with purifying the environment. Apply topically on site or on vita flex points. Orange is one of my favorites as it has a lot of versatile usage. I often add Orange and Lemon essential oils to my water in the morning. It is uplifting and helps with increased energy through the day. Here are some of the uses of Orange essential oil.